By Nicholas J. Gonzalez, M.D. 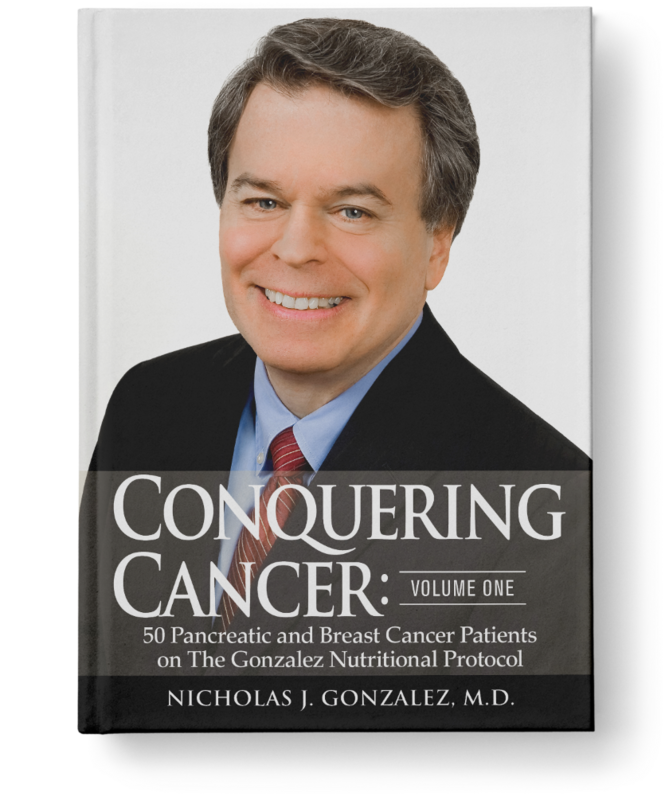 From 1998 to 2005, my colleague Dr. Linda Isaacs and I worked closely with physicians and scientists from Columbia University, the National Cancer Institute (NCI), and the National Center for Complementary and Alternative Medicine (NCCAM), developing and pursuing a formal clinical trial comparing our nutritional approach to chemotherapy in patients diagnosed with inoperable pancreatic cancer. When the project first began we were excited by, and grateful for, this opportunity to have our therapy tested under what we hoped would be rigorous academic supervision. In a personal sense, the project represented the culmination of nearly 15 long years of our own research efforts, and our battles to have our therapy properly evaluated and eventually mainstreamed. We also hoped that in a more global sense, our particular clinical trial would help usher in a new era of cooperation between mainstream academic institutions, and serious alternative practitioners with promising new treatments. 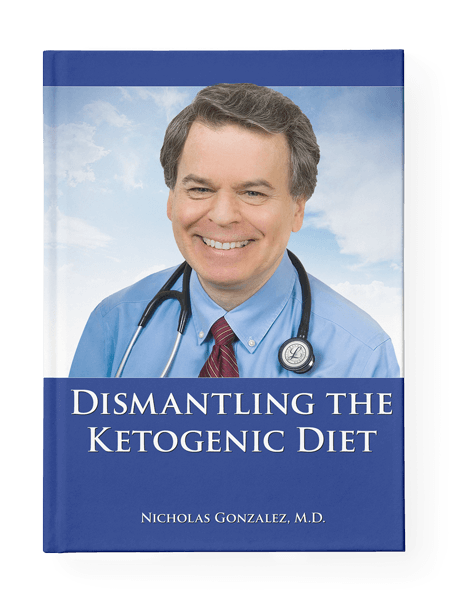 Indeed, in those long ago days as the project first began, we truly believed that the endless and fruitless war between mainstream medicine and more alternative approaches might finally be coming to an end, to everyone’s benefit. From the outset, the project generated praise and enthusiasm in the alternative press, as well as considerable interest in more mainstream venues such as the New Yorker Magazine (1), but also some dismissive attacks. At times, we both felt we were in the middle of a firestorm. Nonetheless, whatever the obstacles we were determined to soldier on, prove to the scientific community the seriousness of our research efforts, and show once and for all that a treatment developed outside the academic world could come under scrutiny and be vindicated. Furthermore, we were concerned at times that the Principal Investigator of the project seemed overly enthusiastic about the chemotherapy regimen employed in the trial – an enthusiasm that we thought might color the study’s outcome. 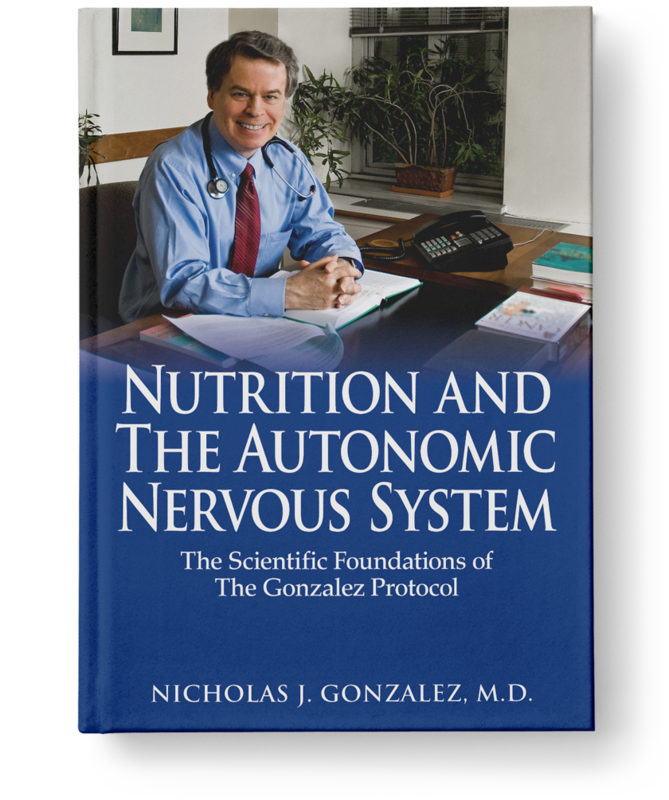 As it turns out, the Principal Investigator of the study at Columbia helped develop the very GTX protocol being used as the counter to our nutritional treatment. We had to discover this serious conflict of interest on our own, a conflict that should have precluded him from ever serving in any supervisory capacity over the management of our trial. In August 2009, without my knowledge and despite the federal investigations completed or in progress, the Columbia team succeeded in publishing an article in the online version of the Journal of Clinical Oncology (JCO), claiming the study was properly run, patients were properly admitted, that all nutrition patients complied but simply failed to respond, in contradiction to the official NIH position on the data, and the devastating OHRP findings – which the authors fail to mention anywhere. When we learned of the article’s existence the day it first appeared on the Internet, we filed a formal complaint with the Journal, whose editorial staff to my astonishment seemed totally ignorant of the study’s problems and the government findings to date, or even that a federal investigation had been already conducted and concluded, with the findings on the internet for all to see. In response to my complaint, JCO pulled the print version only days before its scheduled appearance, and then claimed it was launching its own investigation of the article. However, Dr. Isaacs and I became suspicious of the alleged process when after six months no one from JCO had contacted us for documentation – which we would have been happy to provide. Eventually, the article did appear in the April 2010 issue, slightly edited, but still lacking any mention of the NIH critique of the data, or the OHRP findings of mismanagement. Ironically, about the time of the article’s initial posting on the web in 2009, I had just finished a lengthy manuscript detailing the study’s tainted history. Now, with an added chapter discussing in some detail the JCO article and with an enlarged “Conclusion,” I am preparing the book for publication. In this lengthy tome, I not only delve into the chaotic history of this clinical trial, but also explore the larger issue of scientific bias, which seemed so evident during the 10 years of our study’s existence, and how bias can easily lead to scientific fraud. My research into the issue proved to be most enlightening, demonstrating to me without any doubt how pervasively bias infects the highest levels of the academic research world, and how pernicious and destructive is its influence. It was bias, I believe, the inability of conventional scientists and physicians to entertain the possibility that my “odd” nutritional treatment could have any value in the treatment of advanced cancer that led in my opinion to the study’s ultimate failure and what appeared to me a need to prove my therapy worthless. In retrospect, I believe that so great was the bias of those assigned to supervise the project, a legitimate scientific outcome seems to have been impossible. I came to realize, as I thought about the subject, bias has two sides, or two faces. I observed, during the eight years of the clinical trial in question, that bias can be a fundamental, often fanatical disdain for someone or something not conforming to the accepted, perhaps a better word is imprinted, model, regardless of fact or reason. But as its corollary, bias is a fundamental irrational belief, even a fanatical belief, in the goodness of someone or something, despite all evidence to the contrary. In either case, working unconsciously or very consciously, bias too often as I have sadly learned prompts researchers to manipulate the conduct of a trial and its data to insure the outcome conforms to their worldview. In my book I discuss two cases to illustrate scientific fraud resulting from this latter form of bias, the fanatical belief in the goodness of something despite all evidence of the contrary. The first instance, the promotion of bone marrow transplantation as a treatment for women diagnosed with breast cancer, continued throughout the entire decade of the 1990s, and the second, the infamous NIH HIV-Nevirapine study, came to a head of sorts in the late 1990s. We will address each of these two examples in order. During the 1980s, many oncologists and researchers – including my former boss, Robert Good, who performed the first bone marrow transplant in history in 1969 – began to suggest that in addition to such immune or blood malignancies, BMT might prove useful against a host of difficult-to-treat recurrent or metastatic cancers, such as metastatic breast and ovarian cancer, that don’t involve abnormalities in the bone marrow cell lines. For these diseases, significant toxicity, particularly life-threatening suppression of the bone marrow, limited the chemotherapy doses oncologists traditionally prescribed. However, with the tool of BMT at their disposal, oncologists theoretically could administer very high doses of chemotherapy to these patients, far higher than would previously be possible, then heroically infuse hematopoietic stem cells to salvage the destroyed marrow. As an underlying principle, oncologists assumed that if chemotherapy provided some value at standard, tolerable doses against a particular cancer, extremely high doses would offer greater benefit. Some researchers enthusiastically claimed BMT might even allow for a chance of cure in many previously incurable cancers– a hypothesis that was, at the time, largely unchallenged. However, the expensive procedure cost anywhere from $75,000 to $450,000 or even higher, a major obstacle to patients since initially insurance companies refused to pay for what they perceived as an unproven, strictly experimental treatment. But by 1994, the oncology profession, working with aggressive attorneys and patient advocacy groups, had forced insurance companies through a series of lawsuits to cover the therapy in women diagnosed with metastatic or poor-prognosis breast cancer, though no real evidence yet existed to support its use in this circumstance. The media got on the bandwagon, nearly universally portraying insurance companies as heartless, money-hungry, cold-blooded tyrants, denying an obviously useful therapy to the most desperate of patients, these women with poor-prognosis and metastatic breast cancer. In 1993, Congress got into the fray, with 54 of its members demanding insurance companies, in the case of women with breast cancer, be forced to cover this presumed life-saving but expensive procedure. Other than the insurance companies, virtually no one in the medical profession, no one in the media, and no one in Congress seemed to care too much that little if any evidence existed to indicate this potentially deadly treatment actually benefited women with the disease. Eventually, the National Cancer Institute decided in its wisdom that it might make sense to test the procedure in controlled clinical trials, to determine if this therapy – by the early 1990s already in routine use – worked. By the mid to late 1990s, five such studies had been completed and the results published in the peer-reviewed literature. Four of the trials showed no improvement compared to standard chemotherapy, but in stark contrast to the negative findings, the data from the fifth, as described in the October 13, 1995 issue of none other than the Journal of Clinical Oncology, the “premier” voice of the American Society of Clinical Oncology, confirmed, or so it seemed, great value for the treatment. In an article entitled “High-dose chemotherapy with hematopoietic rescue as primary treatment for metastatic breast cancer: a randomized trial,” WR Bezwoda of the University of the Witwatersrand, South Africa and colleagues described a significant treatment benefit for autologous bone marrow or peripheral blood stem cell transplantation after high-dose chemotherapy compared to standard chemotherapy. (7) In their paper the authors report a complete response rate of 51% for BMT versus 4% for traditional chemotherapy – truly a remarkable difference. Although the results seemed far too good to be true, I remember so well the media, as well as the scientific establishment, lauding the one positive study. Fortunately, a few honest researchers began to question the South African trial and its methodology, since the data so strongly contrasted with that of the other four studies. However, though approached by several concerned oncologists, the NCI refused to support an independent evaluation of the South African data, and JCO did not retract the article. When the author declined to open up his books to appropriate scrutiny by a team of skeptical oncologists, the data’s legitimacy came into question. Eventually, a formal investigation into this miraculous Bezwoda trial concluded the whole affair was a fraud, the data essentially created out of thin air. Unfortunately, the oncology profession at large ignored early warning signs, so desperate were doctors to believe this therapy – which conformed to their belief in the value of chemotherapy – must show benefit. In 1999, even after serious doubts had been raised, the American Society of Clinical Oncology, the publisher of JCO, invited Bezwoda to present the honored plenary session lecture at one of their international conferences. It wasn’t until 2001, six years after the initial publication, when faced with indisputable evidence proving the article a fraud did JCO finally retract the document. (8) At that point, oncologists stopped promoting the procedure for patients with non-blood line tumors, before seamlessly moving on to the next new therapeutic miracle – anti-angiogenesis as I remember – with no apology to the families of those women who had been victimized. The May 4, 2002 issue of the British Medical Journal published a lengthy summary of the entire disaster, entitled “Presumed benefit: lessons from the American experience with marrow transplantation for breast cancer.” (9) I suggest anyone naive enough to believe that conventional physicians in general, and oncologists in particular, are objective, unbiased scientific practitioners employing only proven methods of treatment should read this article. The authors place the concept of unproven medicine where it rightly belongs, smack in the middle of the conventional medical world. More recently, the insightful book False Hope (available at Amazon), published in 2007, describes the whole breast cancer-bone marrow transplantation affair from the beginning. (10) The authors, two physicians along with a Ph.D. political scientist and a lawyer who specializes in public health issues, tell the incredible story of over-enthusiastic oncologists – among those named, Dr. Karen Antman, former ASCO President, early supervisor of my trial, and co-author on the current JCO article about my study – pushing bone marrow transplantation as if it were some grand solution, despite minimal positive evidence to support its use, and despite good data showing it did nothing for the disease. The whole bone marrow transplantation-breast cancer travesty wasn’t just a question of over-zealous scientists promoting some new harmless theoretical idea in the laboratory that subsequently proves to be nonsense. The story is much darker than that, it’s a story of fanatical oncologists manipulating the legal profession and the media to promote without any real documentation to support its use an expensive and potentially deadly procedure that killed anywhere from 10-30% of the women undergoing the treatment. At the time, even under the best of circumstances, bone marrow transplantation often required long hospital stays, frequently involving battles with infection and bone marrow failure. Unfortunately, the false JCO article kept this worthless treatment alive, encouraged women with incurable and poor-prognosis breast cancer to line up, positive and optimistic, anxious to receive a therapy that at best did nothing and at worst killed many prematurely. It’s estimated – though no one knows for sure the exact number – that upwards of 40,000 women underwent the procedure for treatment of breast cancer. Imagine the situation a little differently. Let’s think what would happen if some alternative practitioner promoted a nutritional or herbal regimen that cost up to $450,000 for a year’s worth of therapy, that was extremely toxic and in fact so toxic it killed 10-30% of those foolish to put down the money and undergo the treatment, that when introduced had no legitimate data to support its efficacy, and when tested in clinical trials under the supervision of its proponents, the extraordinarily positive data reported ultimately proved to be fabricated. That alternative practitioner not only would be the subject of intensive legal, regulatory, and media attack, he or she would be in prison for fraud. But I know of no oncologist sent to jail for encouraging women, in the complete absence of legitimate data, to undergo bone marrow transplantation for breast cancer. Moving on to the second great recent example of scientific fraud at the highest levels, I first learned of the HIV-Nevirapine study in mid-2007 from my friend Robert Scott Bell, host of a national radio show devoted to alternative medicine issues, particularly the politics of the field. 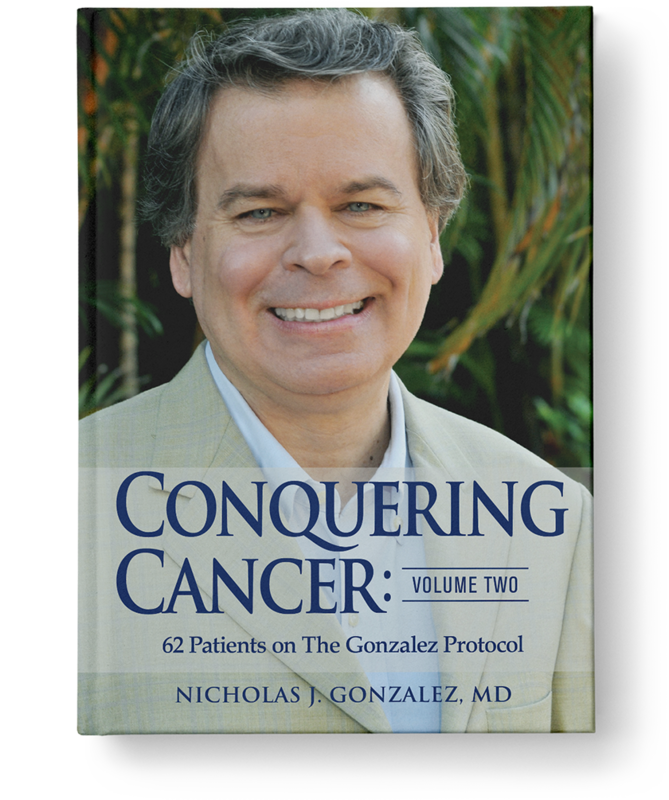 In recent years, I had appeared on his show several times to discuss my therapy, my approach to cancer, and particularly the NCI clinical trial which had generated considerable interest within the alternative health care world. In the spring of 2007, Robert, who normally hosted his show from a studio in Florida where he lives, happened to be in New York, attending a several-day conference on alternative medicine held at the Hilton Hotel in midtown Manhattan. He had set up a booth outside the lecture hall, complete with microphones so he could conduct interviews and broadcast his Sunday show live from the conference. He asked me to come by in the afternoon to talk about my therapy in general, but particularly, about the status of the clinical trial – at that point under investigation by the OHRP. I arrived early, before his show had gone on air, and he and I talked for some time about the trial’s disastrous turn. He seemed very disappointed though not surprised that the study had essentially fallen apart due to apparent mismanagement on the part of the conventional investigators assigned to supervise the project. As I regaled him with the evidence I had collected, he asked me if I had been following the scandalous revelations about the HIV-Nevirapine study conducted in Africa, a highly funded, highly lauded NIH project testing the use of the anti-HIV drug nevirapine to prevent the transmission of HIV from infected pregnant women to their babies. I had heard of the study, and allegations of mismanagement as reported in the press, but I hadn’t followed the issue closely. He explained that the project had apparently been so poorly supervised from its beginning that patients, both the women and their babies, had been put at risk and that the evidence of wrongdoing on the part of NIH scientists had been deftly covered up and suppressed, right up into the highest levels of the NIH. When an NIH whistleblower, Dr. Jonathan Fishbein, tried to expose the mismanagement, he had been viciously attacked, then fired in retribution for his complaining. Fortunately, Robert informed me, Congress had taken up the cause, listened to Fishbein, and in its own investigations vindicated his allegations. As a result, Fishbein had been reinstated at the NIH. Robert thought my situation sounded, in some ways, similar to that faced by Fishbein, who found the regulatory agencies completely indifferent to evidence of serious mismanagement, scientific fraud, and corruption. After learning about the HIV-Nevirapine fiasco, Robert had contacted Dr. Fishbein, who had then appeared on his radio several times to tell his story. Spurred on by Robert’s revelations about the HIV-Nevirapine trial, over the next few months I began my own investigation into its history. What I found would leave me seriously questioning whether any of the oversight offices within the DHHS or NIH hierarchy have the competence, the motivation, or the simple integrity to investigate aggressively instances of scientific misconduct and fraud committed by their own. As I learned, the National Institute of Allergy and Infectious Disease, a division of the NIH, conducted the HIV-Nevirapine trial in Uganda from 1997-1999, under the direction of a group of esteemed international researchers. In this effort, the investigators hoped to determine if the anti-retroviral drug nevirapine, manufactured by Boehringer, administered to HIV-positive mothers and their babies after birth could prevent transmission of the virus. During and after the project, U.S. Government spokespeople aggressively touted the trial as an exemplary example of U.S. efforts to help stem the tide of AIDS in Africa. The NIH, excited about the very encouraging preliminary results, even released the data before its publication in the peer-reviewed literature, reporting an astonishing 48% decrease in HIV transmission with nevirapine compared to the group receiving a short course of the control, AZT, the previous standard approach to the problem of mother-infant transmission. Not only did the new regimen prove effective, the treatment, the early documents claimed, was easily administered, inexpensive, with few reported side effects. On September 4, 1999, in the prominent international journal Lancet, the HIV-Nevirapine team formally published the data to great acclaim, ushering in, they reported, a new era in HIV prevention, a major step to halting the massive epidemic of the disease in Africa. (11) As a result of the study, in January 2001 Ugandan authorities approved the drug for use as a preventive against HIV transmission to the babies of HIV-positive women. Subsequently, in July of 2001, Boehringer, the manufacturer, submitted an application to the FDA seeking approval for use of the drug as a preventive for mother-baby transmission in the U.S. However, by early 2002, scientists outside the NIH began to question the initial enthusiastic reports of a great new advance against the HIV epidemic. In preparation for the required FDA review, an internal audit of the data at Boehringer uncovered evidence of numerous and significant protocol irregularities which, as the official reports stated, violated the integrity of the data from the trial that had already been published in Lancet. (12) In response to Boehringer’s concerns, the Office of Human Research Protections then launched its own investigation. NIH officials reviewed the bad news in early March 2002. Meeting minutes, written in shorthand, raised broad concerns: Half the babies in the study were also enrolled in a vitamin A study that could have affected the outcome, and medical staff running the trials didn’t follow procedures for divulging serious adverse events (SAEs). “No mtg minutes, no training doc(umentation), site used their own criteria for grading SAEs. No lab normal values & serious underreporting of SAEs,” the minutes stated. In January 2002, Boehringer sent NIH an early copy of its report. But the drug maker, fearing publicity about the report might destroy its chance to get the FDA approval of the drug for domestic use, asked NIH to destroy it before FDA regulators could learn about it. During this time, the NIH higher-ups not only failed to inform the President about the serious protocol violations, the unreported serious side effects including deaths, and the poor management of the trial, they chose not to inform the press. The growing scandal remained a big NIH secret. In March 2003, the Division of AIDS (DAIDS) released its own report about the study’s management, strangely excluding any critical statements made by NIH experts. The press, along with the White House, seemed at the time blissfully unaware of the ongoing scandal, so successful were the attempts to keep the bad news out of public – or White House – view. Four days later, Dr. Fishbein repeated his allegations of scientific misconduct in the HIVNET 012 remonitoring effort to officials of the U.S. House of Representatives, Energy and Commerce Committee, Subcommittee on Oversight and Investigations.18 Finally, in May, the Subcommittee, in conjunction with NIH officials, arranged for a formal review of the whole study by the Institute of Medicine (IOM), a non-governmental organization in Washington charged with assessing and mediating scientific controversies. In addition, the Office of NIH Director Zerhouni began its own investigation, the results of which were released in July of 2004. The government’s AIDS research agency “is a troubled organization,” and its managers have feuded, used sexually explicit language, and engaged in other inappropriate conduct that hampers its global fight against the disease, an internal review has found. The review for the director’s office of the National Institutes of Health substantiates many of the concerns that a whistle-blower, Dr. Jonathan Fishbein, raised about the agency’s AIDS research division and its senior managers. The division suffers from “turf battles and rivalries between physicians and PhD scientists,” and the situation had been “rife for too long,” the report concluded. Fishbein, a private sector safety specialist, was hired by the NIH in 2003 to improve the safety of its AIDS research. He alleges that he was fired because he raised concerns about several studies and filed a complaint against one of the division’s managers alleging sexual harassment and a hostile workplace. An NIH AIDS study in Africa violated federal safety regulations. A medical safety expert whose firing drew national attention to the lack of whistleblower protections in some areas of federal research is back on the government payroll. After I had studied in some depth the HIV-Nevirapine fiasco, I spoke to Robert Bell several times about Dr. Fishbein and the harassment he had endured. Robert described Dr. Fishbein as a man of great idealism and obvious honor, qualities apparently quite rare among government scientists. Tragically, the vicious attacks he suffered at the hands of his colleagues and superiors at the NIH had left him disillusioned and discouraged. The NIH not only ignored his honest and well-motivated concerns, but had sought to punish him for being so relentless in the pursuit of the truth. After his firing, he doubted he would work again in medicine, so determined was the NIH to destroy his credibility as a scientist. Despite Fishbein’s reinstatement, Robert thought he would be viewed as a pariah to be avoided at all costs. His future career at the NIH could hardly be a happy one. In the HIV-Nevirapine affair, Dr. Isaacs and I saw a warning of NIH incompetence and blatant corruption, a morality play of sorts about the perversion of scientific truth for personal and political gain at the highest levels of the Federal research community. But as we were to learn, the HIV-Nevirapine trial was far more, in terms of our own clinical study, than just a cautionary tale. As it turns out, some time before the scandal broke in the press, the supervisor of the study, Dr. Jack Killen, had very quietly been moved to the National Center for Complementary and Alternative Medicine – where he had been placed in charge of my project, without a word to me about his previous experiences within the NIH. And now, having helped manage not one but two highly-watched Federal studies that collapsed into chaos, he has been rewarded with a promotion at NCCAM. In the conclusion to my book, I call, with some seriousness, for the closing of all government scientific institutions, since they seem unable to rid themselves of the pernicious biases that are forever the enemy of legitimate scientific enterprise, and ultimately, the truth. Our experiences have taught Dr. Isaacs and myself that in these alleged bastions of scientific progress, new ideas that do not conform to the prevailing model will be fought to the death with little concern for the true purpose of research, the objective, unbiased search for the truth, for the benefit of us all. Trust me, we’ve been there, in the belly of the beast, and it is not a pleasant place to be. Adapted from the upcoming book What Went Wrong by Nicholas J. Gonzalez, M.D. For information regarding this book, and for other works by Dr. Gonzalez, please subscribe to our announcement list or contact New Spring Press. 3. Andreason PJ. Office for Human Research Protections (OHRP) 2008 determination letters. http://www.hhs.gov/ohrp/detrm_letrs/YR08/jun08a.pdf. Accessed September 25, 2009. 6. Hematopoietic stem cell transplantation. http://en.wikipedia.org/wiki/Stem_cell_transplant. Accessed June 18, 2008. 10. Rettig RR, Jacobson PD, Farquhar CM, Aubry WM. False hope: bone marrow transplantation for breast cancer. New York, NY: Oxford University Press; 2007. Available at Amazon. 12. Timeline for the HIVNET 012 Clinical Trial, Audits and Investigation. http://www.honestdoctor.org/images/media/TimelineHIVNET012.pdf. Accessed October 28, 2008. Available by entering the URL in the Wayback Machine. 13. U.S. officials knew of concerns with AIDS drug. http://www.usatoday.com/news/health/2004-12-13-aids_x.htm?loc=interstitialskip. Accessed October 28, 2008. 15. Solomon J, The Associated Press. Review substantiates concerns at AIDS research agency. http://articles.boston.com/2005-07-04/news/29213032_1_nih-employees-nih-officials-senior-nih. Accessed July 4, 2012. 16. The Associated Press. NIH whistleblower returns to office. http://www.foxnews.com/story/0,2933,179712,00.html. Accessed October 28, 2008.